Giuliana Rancic is best known for interviewing A-listers on the red carpet and E! 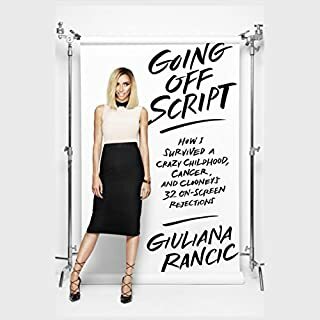 News, skewering their shocking style choices on Fashion Police, and giving viewers a front-row seat to her marriage and family life on her reality show, Giuliana & Bill. What fans may not know is that she learned English from Eddie Murphy, got her American citizenship so she could be a beauty queen, and used to have a bad habit of stealing cars for fun. Yes. I really wasn't expecting much from this book but it was great, it was funny, and sad but always very positive. G did a great job and was very honest and witty. What was one of the most memorable moments of Going off Script? Would you consider the audio edition of Down the Rabbit Hole to be better than the print version? Holly, i loved her on GND and had no idea she went through all that. A lot of things hit home to me and how i was treated in past relationships and i was glad to see her escape and succeed and find happiness. Great book, i highly recommend this book and Girl Fat Walking. The are great pick me up. 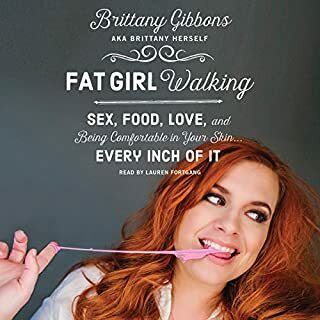 Fat Girl Walking is a collection of stories from my life, my thoughts about the issues that I have faced as a woman, wife, mom, daughter, daughter-in-law, and Internet personality in regards to my weight. I have tried to be as honest as I possibly could - apologies in advance to my husband and parents, but hopefully any discomfort you feel is quickly replaced by laughter. Would you listen to Fat Girl Walking again? Why? Yes, It was funny and she defiantly had some good life lessons to share. What was one of the most memorable moments of Fat Girl Walking? Ask children where food comes from, and they’ll probably answer: “the supermarket.” Ask most adults, and their replies may not be much different. Where our foods are raised and what happens to them between farm and supermarket shelf have become mysteries. How did we become so disconnected from the sources of our breads, beef, cheeses, cereal, apples, and countless other foods that nourish us every day? 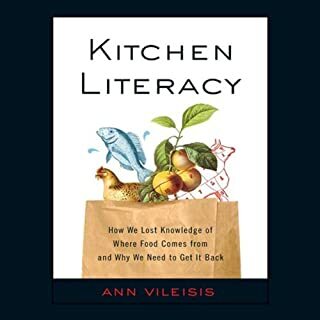 What would have made Kitchen Literacy better? What was most disappointing about Ann Vileisis’s story? Would you be willing to try another one of Alex Day’s performances? 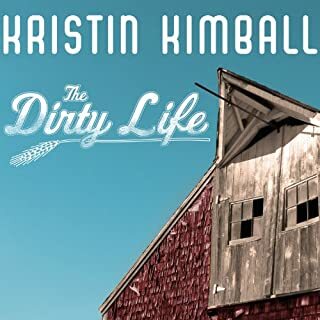 Single, 30-something, and working as a writer in New York City, Kristin Kimball was living life as an adventure. But she was beginning to feel a sense of longing for a family and for home. When she interviewed a dynamic young farmer, her world changed. Kristin knew nothing about growing vegetables, let alone raising pigs and cattle and driving horses. But on an impulse, smitten, if not yet in love, she shed her city self and moved to 500 acres near Lake Champlain to start a new farm with him. What made the experience of listening to The Dirty Life the most enjoyable? Made me feel like i could do it too, I kind of am but I don't do it for people outside my immediate family. And i am now determined to get a dairy cow. 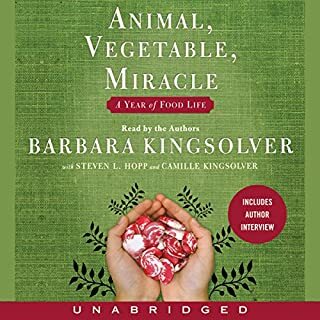 When Barbara Kingsolver and her family move from suburban Arizona to rural Appalachia, they take on a new challenge: to spend a year on a locally-produced diet, paying close attention to the provenance of all they consume. Animal, Vegetable, Miracle follows the family through the first year of their experiment. Great book and made some really solid point about how people live, it has inspired me to make a lot changes in my personal life. It’s the summer of 2005, and Mardi Jo Link’s dream of living the simple life has unraveled into debt, heartbreak, and perpetually ragged cuticles. She and her husband of nineteen years have just called it quits, leaving her with serious cash-flow problems and a looming divorce. 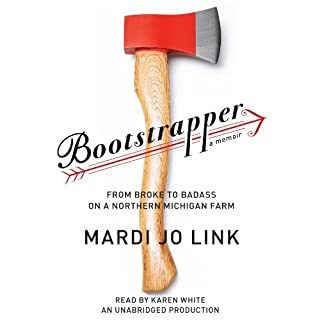 More broke than ever, Link makes a seemingly impossible resolution: to hang on to her century-old farmhouse in northern Michigan and continue to raise her three boys on well water and wood chopping and dirt. Armed with an unfailing sense of humor and three resolute accomplices, Link confronts blizzards and foxes, learns about Zen divorce and the best way to butcher a hog, dominates a zucchini-growing contest and wins a year’s supply of local bread, masters the art of bargain cooking, wrangles rampaging poultry, and withstands any blow to her pride in order to preserve the life she wants. What made the experience of listening to Bootstrapper the most enjoyable? I just enjoyed how she turned a horrible time into an amazing one, she kept her head held high and did the best she could do. What was one of the most memorable moments of Bootstrapper? The thing that annoyed me the most was that she bought meat chickens and didn't butcher them she just gave them away. She is on a farm there is always going to be death as well as life. I get 50+ meat birds (turkeys and meat chickens) every year and dispatch them myself because i do it humanly not send them off to some dirty slaughter house. 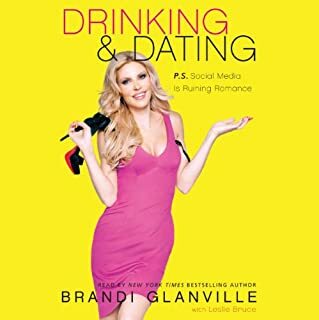 On the heels of her New York Times best-selling book Drinking and Tweeting, Real Housewives of Beverly Hills star Brandi Glanville takes readers on a wild ride through her dating life in this highly entertaining relationship book. Drinking and Dating chronicles Glanville’s misadventures stumbling through today’s dating world. From social media blunders to bedroom escapades, Brandi withholds nothing. Each chapter is inspired by a relationship encounter she has had since her sensational divorce from actor Eddie Cibrian. Just as Jane Christmas decides to enter a convent in mid-life to find out whether she is “nun material”, her long-term partner Colin, suddenly springs a marriage proposal on her. 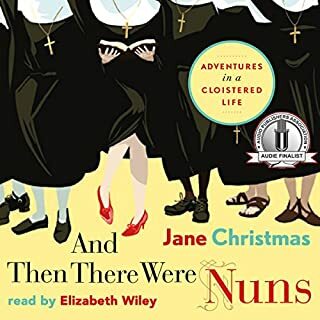 Determined not to let her monastic dreams be sidelined, Christmas puts her engagement on hold and embarks on an extraordinary year-long adventure to four convents - one in Canada and three in the UK. Would you listen to And Then There Were Nuns again? Why? The fascinating lives of the characters in Almost Famous Women have mostly been forgotten, but their stories are burning to be told. Nearly every story in this dazzling collection is based on a woman who attained some celebrity - she raced speed boats or was a conjoined twin in show business; a reclusive painter of renown; a member of the first all-female, integrated swing band. Would you be willing to try another book from Megan Mayhew Bergman? Why or why not? 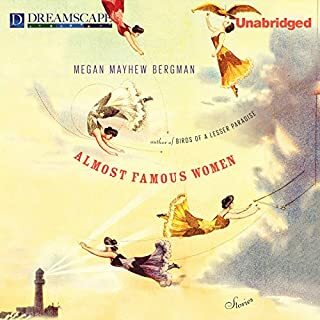 I would not be willing to try another book from Ms. Mayhew Bergman because I found this book very difficult to get through, it was just boring. Do you think Almost Famous Women needs a follow-up book? Why or why not?